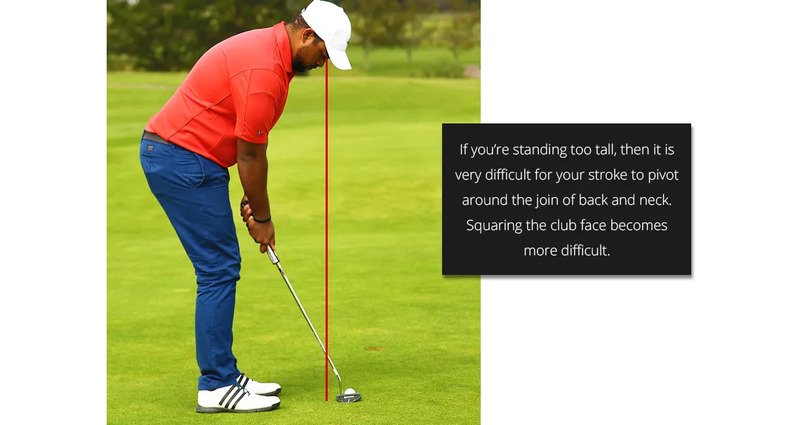 Most putters are 35“ in length and that forces many golfers to stand too upright. With this stance their eyes will be inside the line of the ball. 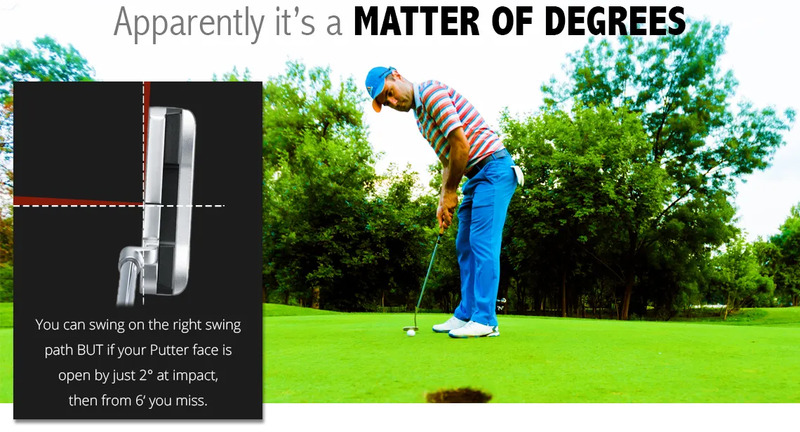 Does the length of your putter impact your setup and alignment, and therefore on your 10-foot success percentage? Test yourself with 10 x 10 foot putts on a flat line. Come and see us and let’s see you take the test, while we check out your setup, alignment and aim.